Some people call it “padding the expense report.” It’s just a few dollars here and there. Who’s it going to hurt? The big corporations won’t really miss it and small businesses won’t even notice, right? In reality, expense fraud costs a median loss of $33,000 in each instance, according to Association of Certified Fraud Examiners (ACFE). Despite the nonchalant attitude of many employees, expense fraud is a crime that affects organizations large and small. 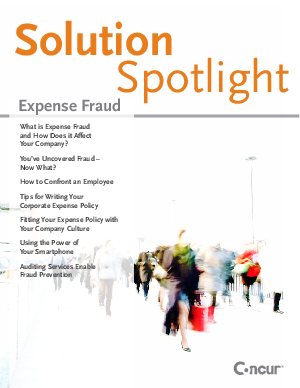 Identifying fraud and abuse in your organization is crucial. Whether it’s understanding the legal implications or communicating with employees about it, you’ll find tips in here to help you and your company effectively plan for or deal with expense report fraud.